This is an eminent vineyard, winery and art gallery in the main city. It has to be the highlight of anyone who is visiting Beaune. They have a very good collection of wines and they ship it almost all across the world. They not only serve wines but also good traditional food. You should take a little time ad visit their gardens that are lovely whole year round and then sit for a wine tasting session. It is even better if you visit during the Pom’ Art as at this time the art gallery is filled with the best of their collection. 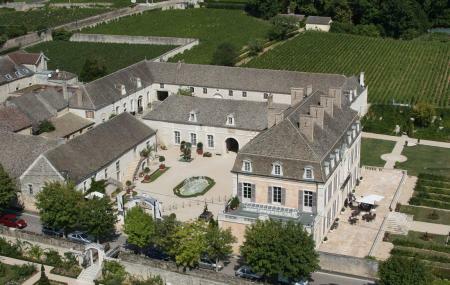 How popular is Chateau De Pommard? People normally club together Paroisse and Musee De L'hotel Dieu while planning their visit to Chateau De Pommard. We had a nice wine tasting at Pommard Winery. We've tasted 2 chardonnays and 3 pinot noirs. We've visited the small museums and the cellars. Keep in mind that the wines available for purchase are a bit pricey. The place is in very good condition, newly renovated. Holy cow. That is what I have to say of this AMAZING experience. While doing the food and wine pairing, we not only got to learn about the amazing history, science and passion behind this wine maker. With wines sold almost exclusively on site, this is definitely a place to get to if you are in wine country. Nice Domain with some good value. The tour is worth the money with a guide team that is great (English speakers) offering some good education on Burgundy generally and the influence of limestone. tasting that is generous a opportunity to buy or ship if inclined. Remember that is ship then 20% off list price as local tax is not payable. Simple but nice tour with some information about the château and the wines. The tasting was great. Be aware that wines are pretty high end and therefore quite pricey if you want to buy some bottles.